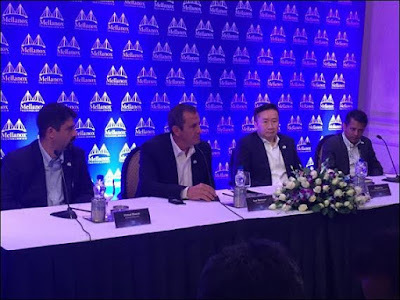 Mellanox Technologies, a world leader for data center Ethernet interconnect solutions, for the first time presented in the Indian market 10/25/40/50 and 100GbE solutions. Mellanox introduced the Open Ethernet switch ‘Spectrum’ with a switching capacity of 6.4 Tbits that can transfer 4.77 billion packets per second. The company also revealed to the Indian audience, its ConnectX-4 Lx Ethernet adapter and the LinkX family of Ethernet cables and transceivers. ‘Spectrum’ switch based on the 100GbE Ethernet switch ASIC of Mellanox Technologies, is recognized as the world’s leading Ethernet switch. It provides a flexible choice of ports at 10, 25, 40, 50 and 100Gb/s and ensures zero packet loss. This will help users to fully utilize their network resources and maximize the efficiency of the applications in their data center. Compatible with a range of network operating systems, this switch provides customers with the freedom to choose the preferred network operating system. Spectrum is the most efficient solution for cloud-based applications, web 2.0, storage, database and machine learning. The products unveiled by Mellanox, are expected to trigger adoption of high speed networking in the Indian data center industry. Spectrum based Ethernet switches, will ensure maximum performance, efficiency and throughput with lowest latency and the lowest power consumption; thereby reducing costs significantly. This will maximize ROI and ensure highest application performance, in datacenters powering the telecom, manufacturing and the cloud services market in India.